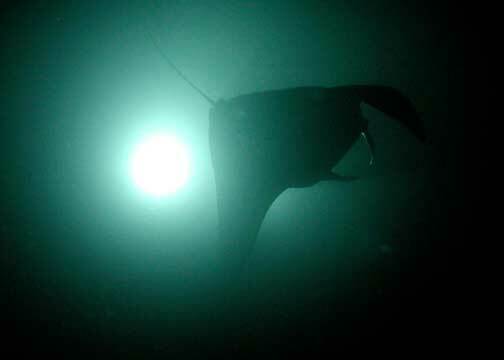 My first night dive was a manta ray dive. There were two - one with an 8' wing span and the other with a 12' span. 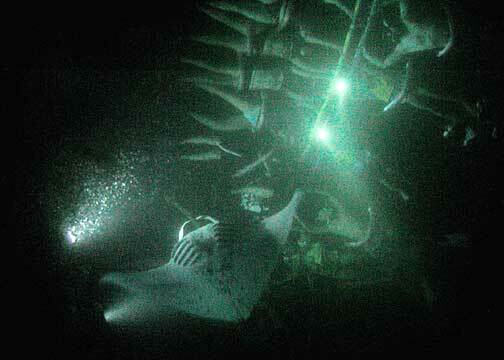 Lights are used to attract the plankton which, in turn, attracts the manta rays. Tech Note: All pictures were taken without flash using an older digital camera in a underwater case set on manual. Here's a manta ray in the back flip position of his circle scooping up the plankton. 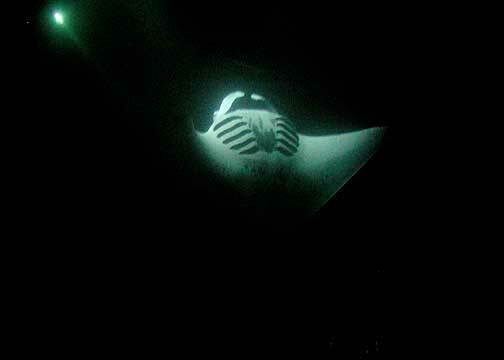 Manta ray back lit by video camera light. 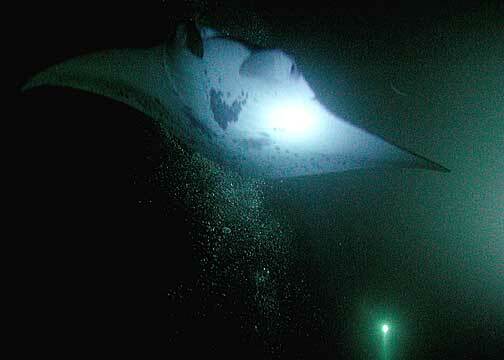 Even if you don't scuba dive, you can still snorkel and enjoy the fantastic experience of watching the manta rays.